His Sandy actions weren't politically motivated, but just the 'right thing to do,' says New Jersey's governor. TRENTON, N.J. – Hurricane Sandy met its match in New Jersey Gov. Chris Christie. From his frequent, televised updates to residents as the storm’s winds whipped the state’s beaches in October to his criticism this week of fellow Republican John Boehner’s decision to delay a vote on federal storm aid, his deft handling of his native state’s worst natural disaster may one day be considered the defining moment in the political career of the potential 2016 presidential candidate. The governor, who has rocketed to Republican Party stardom during his first term, talked about the storm in an interview this week with The Associated Press and about mistakes he made during earlier storms that helped shape his decision-making during Sandy. The timing of the storm — days before a presidential election — ultimately helped define his role in it as well. Christie has been viewed as a nonpartisan advocate for federal aid since the Oct. 29 hurricane slammed the state. He embraced President Obama’s visit to the Jersey Shore six days before the presidential election, inciting catcalls from conservatives, and this week he smacked down House Speaker Boehner, a powerful member of his own party, for delaying a vote on a $60.4 billion storm aid package. Christie has received almost universal praise for his handling of the superstorm. A late November Quinnipiac University poll showed 95 percent of those surveyed thought he did an “excellent” or “good” job managing the storm. The poll also found he’d won over a majority of women and minority voters, two constituencies that had not supported him previously. In 2010, Christie underestimated the first major storm of his administration by flying to Disney World hours before snow crippled the state, then overplayed Tropical Storm Irene with the now-infamous order, “Get the hell off the beach.” But he struck the right balance with Sandy — he was hands-on and in charge but empathetic to the myriad needs of his state. 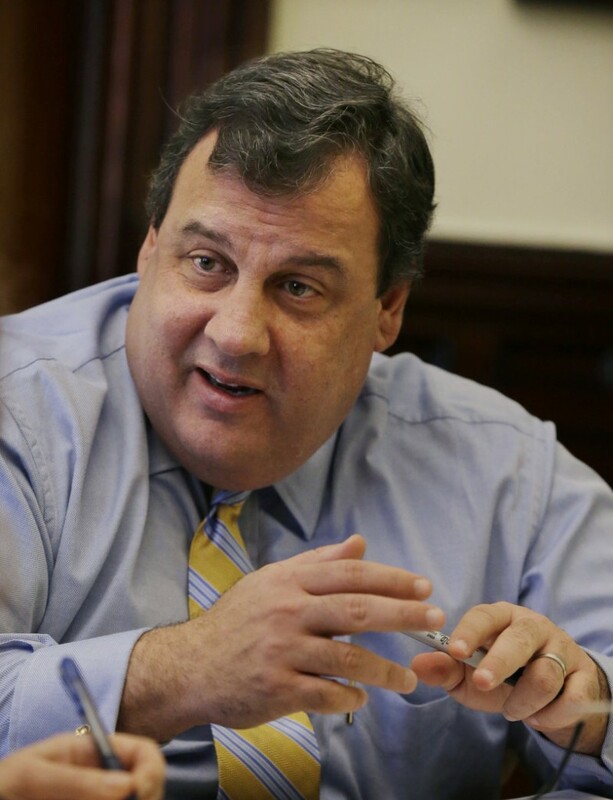 People think of Christie as a guy who calls it like he sees it, said political strategist Tom Wilson, former chairman of New Jersey’s Republican State Committee. The governor’s popularity surge couldn’t have come at a more opportune time. It probably helped convince Newark Mayor Cory Booker not to enter next year’s governor’s race. So far only one major Democratic candidate, state Sen. Barbara Buono, has stepped up to take on Christie in November. Even Senate President Stephen Sweeney, the state’s most powerful elected Democrat, finds himself agreeing with the governor more often than not. After Christie tongue-lashed Boehner over Sandy aid, all Sweeney could do was nod.